God’s name isn’t mentioned once in the entire Megillah, but Megilat Esther is a revelation of the hidden. “Megillah” comes from the root word meaning “to reveal,” and “Esther” means “hidden.” You can’t see it, but it is hidden in the Megillah how God works in the world. You can’t know it; you simply have to have faith. During Pesach there are miracles all over the place. God’s name is mentioned everywhere. In the Haggadah, Moses isn’t mentioned because one shouldn’t think for a moment that the miracles were at the hands of coincidence and people, as opposed to Purim where it only looks like it’s simply people doing their thing. So we go from absolute hiddenness (Purim) to the holiday that is the beginning of the revelation (Pesach), the uncovering of God showing himself in the world. In the Kabbalah there is a basic metaphor of building a house. This house does not come out of nowhere. It is preceded by construction. The construction doesn’t happen randomly, it’s preceded by a blueprint. The blueprint doesn’t come out of nowhere it is preceded by a vision, a dream. This simple metaphor of building a house being like the major construction of the universe that says everything begins with a vision. It’s called the world of emanation (atzilut). Then it goes into blueprinting. How do you take this vision and plan it so that the blueprint will work? That’s the world of creation (beriah). Once it is blueprinted, it goes into construction – the world of formation (yetzirah). Once it’s constructed, then people can move into the house – the world of action or doing (asiyah). This order of the way things come about is true not only of building a house but also of starting a new business, considering a new career and so forth. One has an idea. One starts thinking; how do I go about doing it? What is it that I need to learn? How do I set it up? Then one goes about gathering what one needs to do it. Then one starts doing it. There can be problems even when building a house because by the time your vision goes through blueprinting and meets the state regulations and constructions codes, it might go through some changes. Perhaps the person constructing it doesn’t understand the full vision that you had. Any number of things can go haywire. One can wind up in a situation that isn’t according to the vision that he or she started with. We are living in a world of action. In most cases it is not that the finished product is not quite the vision that we once had, it is that we don’t remember our vision. We don’t even remember that we had a vision. This same order is also true of ourselves and the way we come into the world. We are preceded by our vision. On a soul level, our neshama has a vision. It makes a vow, enters into a contract as to the conditions for whatever life it needs to complete its particular vow. That’s the blueprint phase. From there it goes into construction and then enters into life. Each one of us has a vision. There is a vision to the world that Hashem had in creating the world. Hashem, the one who became totally invisible and hidden, had a vision, and also each individual has a vision. The Torah is a blueprint for the world. Somewhere in each of us there is encoded a personal Torah, a code of law; that is a blueprint. But for the most part we lose sight of our vision. There’s a metaphysical law – like there’s a physical law of gravity – that says when you are born you will forget your vision. You can’t bring it with you and you will have to spend your whole life searching for it, trying to rediscover it. There’s nothing wrong with searching for it all your life. The wrong would be that you don’t even believe you ever made one so you never search. In fact many of us are living are visions and doing a fairly good job of it, but because we don’t know it, we are just not all there. We are going through the motions of our lives and we can’t put our heart into it because we are not connected to it on a vision level. Purim was a time of no vision. Mordechai was the one element who had connection to his vision who kept sitting at the King’s gate – the gate of heaven – in meditation, taking time to focus inward. Pesach also begins as a time with no vision. What does it mean to be a slave? To be a slave is to have no connection, not only no connection with your vision but not even to believe that you ever had a vision. Like these four worlds that come down, the soul from the world of vision puts on a body of blueprint (a mental garment), and then puts on outer clothing such as pants or a skirt (an emotional world of formation), then puts on an overcoat and galoshes (the physical world). We are made of all these, but you don’t see them. When you see the house, you don’t see the vision, the blueprints and the construction. All you see is the outer part of it. The same is true of people. And then there arose in Egypt a Pharaoh who knew not Joseph. Very gradually what was once a place of free comings and goings, became a place of imprisonment, lack of freedom, and a heavy force of negativity that kept coming on stronger and stronger. That’s what happens to our soul. We are born and our soul enters into this body and puts on these different garments. We have free access to manifest through them as we have seen with any young child. However, through our education system, our schools and our homes, our soul becomes a prisoner. It becomes a slave and becomes lost. We lose our vision and lose touch with our soul, and we are slaves. Pesach is about regaining our freedom. It’s waking up and realizing that we are slaves. According to many midrashim (commentaries), most of the Jews never woke up to that reality. One midrash says only one fifth of the Jews actually left Egypt. The rest of the Jews thought that slavery was the way life was supposed to be. That is similar to the way we regulate ourselves to pain. We can either feel pain, which most people don’t, or think maybe I feel pain but Jews are supposed to hurt, just like chairs are supposed be uncomfortable. If it bothers me too much, I’ll take a painkiller, but I don’t look for the source or cause of the pain to think that maybe I can do something about it. Pesach is an opportunity. It’s not just a historical celebration, not just a great time to have family and friends get together for a good meal. Pesach is a breakthrough in time from the realm of eternity. It is the breakthrough in the world of hiddenness to that which can be revealed. What happened 3,000 years ago can be repeated, not just commemorated on Pesach night. Pesach – and this is true of all of the holidays – offers that opportunity. Pesach is a time to sit at your seder table, go through the Haggadah and experience a breakthrough. Haggadah is a highly developed spiritual tool that can realign one’s consciousness and change one’s life. It’s important not to change the Haggadah too much but to simply say it. “Haggadah” means “to tell.” “Pesach” means “the mouth tells.” So much of the focus on Pesach is on expressing, on talking. One simply has to say it. When one goes and sees his or her therapist, one talks. Everyone says how much that helps. Pesach is a time to talk to God, your friends and family, yourself, and a time to rediscover your vision. The way of doing this is by telling your story. The story is there. It is an eternal story. We started as slaves and we come out as free people. We rediscover our vision and get back in touch with it. Pesach is a time to think about our levels of slavery. If I have this spiritual level – this soul – and these mental, emotional and physical levels, I become a slave on all of these levels. Make a chart of what you do for one day and see how much of it is for your physical body – eating, sleeping, going to the bathroom, bathing, shopping, and working. For many of us, the work we do is only to earn enough money to have a roof over our head to be protected from the elements and to have clothes and so forth – to be comfortable. The work itself may not have its own intrinsic value. Everything comes down to being a slave to the physical. There’s nothing wrong with the physical and with being comfortable, with making money and having good food. But if I have no choice, and if I’m driven by it, and if that is all I can think about, and if the denial for half an hour of something to eat or drink or a cigarette is challenging, I’m a complete slave to my physical. I have to look at that and see if somehow through Pesach I can free myself a little bit. If there’s any time left in my day after I measured off everything I do physically, where am I emotionally and how often do my emotions enslave me? For example, my emotional reactions such as anger, love, lust, greed – I’ve got to weed out what is good and what is bad. How many people have I written off because of some emotional feeling? How many situations have I turned upside down, reacted in the worst of ways because of emotional lack of freedom? Like a slave I seem to have no choice. How much time of my day is spent on a mental level – the very way I see the world, myself, people around me, and the way that I think. The way I see the world has absolutely nothing to do with what’s out there. One of the ways one can do this is to let each cup of wine stand for one level. For example, the first cup stands for the physical. I’m a physical slave. The second cup can be for the emotional. I’m an emotional slave. The third cup is for the mental, and fourth for the spiritual. Following along through the Haggadah, pause before each cup and ask what are all the things symbolized in this cup of wine. The order of the seder itself is a progression from the world of asiyah (action) back up to the world of atzilut (emanation). It’s a progression from the physical world back up to the vision. That’s what Pesach is about. The four letters of God’s name are spread out over those four intervals. There are hundreds of different kavannot (intentions) that one can focus on. It’s certainly worth at least taking one breath and stopping for one moment before one says the bracha (blessing) and drinks the wine. “Let this wine be able to carry me from one world to the next,” for example. The four cups of wine that we drink serve in the Haggadah the same way Kaddish serves in our davening (praying). We say Kaddish when we move from section to section. The davening is aimed at getting us through the four worlds. The morning service starts with the preliminary prayers, which are all dealing with the physical (the world of action). The psalms are dealing with the emotional (the world of formation) the Shema and all the prayers around it are dealing with the mental (the world of creation), and the Amidah, the silent standing prayer when we stand before God, is atzilut. “Atzilu” means “closeness, nearness” (the world of emanation). Reb Nachman of Bratzlav said very beautiful things about Pesach. The following is a story about the difference between the first day of Pesach and the second. Pesach is holding us up. In the time between Pesach and Shavuos, God is stepping back and saying, “You want to come all the way to Har (Mt.) Sinai and receive the Torah? You have to walk on your own. I’m right here and I know you are strong enough, but you have to do it.” This is this initial holding that we are given, this revelation at a time when everything is totally hidden. Rebbe Nachman says that the miracles of Pesach are not all of the signs and wonders, turning the rivers to blood and so forth. They are great, but the real miracle was Pesach night itself when the Jews in Egypt sat down for their special meal that they were commanded to have. Because when God passed over, he didn’t simply pass over. It wasn’t like a 747 flying over. It was a revelation. God revealed himself on Pesach night. God himself came down, not an angel or some other representative. The miracle is this. We were still slaves. We were totally and completely enslaved, sunk into the mire, absorbed, assimilated into the Egyptian way of life. We thought that being a slave was simply the way life was. There is a basic law – a metaphysical law – that says you get what you pay for. You are what you eat. If you don’t have cable, you can’t get certain channels. You get what your vessel is ready for. If you are tuned into garbage, you will get lots of garbage. If you are tuned into classical music, you will discover it all over the place. It just depends what you are listening to, but there are a lot of other channels or wave lengths out there. The law of universe – the Kabbalistic principal – is that where we were in Egypt, the only kind of revelation we would merit would be a pretty horrifying vision. We simply didn’t have the vessels. The miracle of Pesach was that with no vessels to receive it, we had the revelation of the absolute highest purest infinite One. Everyone is looking for the peak experience. They say you can buy it for a great price at the weekend workshops. But I’ve been telling people for years, it’s been misspelled. It’s not peak; it’s peek. If you want to get the peak experience, you’ve got hard work to do. You can’t achieve it in a weekend workshop. Pesach was a peak experience. We were in no position to receive it, had no vessels to take it and yet, nonetheless, we were given that highest vision, a peek back to our own vision. The other miracle that Rebbe Nachman points out is that if you don’t have the vessels and you have a vision like that, it can shatter you, completely wipe you out. A lot of people are in mental hospitals because they had visions beyond the capability of their vessels to receive, and it did just that. The miracle of Pesach was that there we were with the lowest of vessels and the highest of revelations and it didn’t shatter us. Instead it gave us the strength to get up and run as fast as we could out the door. That kind of revelation is waiting for you on Pesach night. You can reach it by going through the Haggadah, going through the seder, putting order into the evening, moving up through the worlds, freeing yourself world by world and trying to be there with the greatest faith to receive that vision. 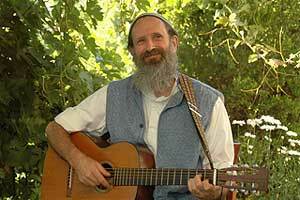 Rabbi Zeller, z”l, was an internationally known musician, lecturer, and workshop leader in Jewish mysticism, spirituality and meditation, as well as in transpersonal psychology. Learn more about him at www.davidzeller.org.